Our product range includes a wide range of auger filler machine, liquid filling machine, used capsule filling machine and tablet filling machines. 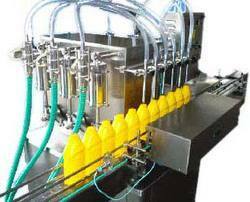 we manufacture, export and supply high quality Semi Automatic Liquid Filling Machine. This machine is generally demanded in pharmaceutical, chemical, pain, oil, soft drinks & industries for filling various liquid products in a proper and efficient manner. In accordance with industry set standards, our skilled professionals only use premium quality components and sophisticated technology while manufacturing this filling machine. 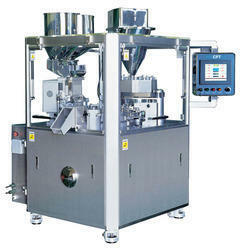 Tested against different parameters, we provide this filling machine to our valued clients at industry leading rates. We are engaged in supplying superior quality of Used Capsule Filling Machine that are designed as per the specification of the clients. Our organization is reckoned as one of the reputed manufacturers and suppliers of a wide range of Tablet Machines, which comes assembled with heavy duty motors. All the machines that are offered by us are fabricated from the best quality material, which makes them highly reliable as well as durable. Moreover, to rule out even a minute defect from the range, it I stringently checked and tested on varied parameters by our quality professionals.